Beer is from grain, wine is from grapes and mead is made from honey. Mead is the oldest fermented beverage in the world; predating grape wine and beer - going back to the Egyptians over 7000 years ago. Some remember it from the stories of Beowulf, Robin Hood, Game of Thrones, the Vikings and Middle Ages, but goes back much farther in time. Believe it or not the term "Honeymoon" was derived from mead. It was believed that in the Anglo-Saxon period, on their wedding day, the grooms parent would provide the newlywed couple enough mead to last one full month or moon cycle. It was believed that the consumption of all of this mead would help in the conception of a boy. Thus carrying on the namesake and lineage of the paternal family. Our process at Sap House Meadery is not much different than the ways of the past. Maybe a little more knowledge and understanding of how it works, but the principals and concepts remain. We dissolve honey and water together, add a cultured wine yeast and before long, the wine yeast is eating the sugars in the honey, turning the sugars into alcohol and CO2. This fermentation takes place for 4-5 weeks. Once the fermentation has almost completed, we transfer our newly fermented liquid into a new sanitized tank. This is called racking. We will rack our meads every 6-8 weeks for about a year. When we began, we would age for a minimum of 6 months, but now with our expansion, we are able to age much longer than that. This aging process is critical to a complex, smooth and enjoyable mead. Enjoying mead should be a multi-dimensional experience. The finished product should be well-balanced, well-bodied and complex. When you sip our meads you should find in them the perfect balance of acidity, sweetness, and mouth feel. The alcohol within mead should itself become a complexity, subtle and never too apparent. In taste and in aromatics delicate notes of honey should present themselves. To craft a well-balanced mead is an art, although we only dictate so much of the process. We cannot tell the mead when to be ready. With the proper time in aging, and the choicest ingredients possible, it tells us. Mead has no rules. There are no specific glasses for imbibing on mead. There are no specific temperatures it must be. There are too many rules in the alcohol world. The only rule that all of us here at Sap House Meadery agree on is you must enjoy it. Whether it is on the rocks, at room temperature, cold, and even warmed or mulled. Experiment, be creative – mix it into your favorite cocktails! Check out our recipe suggestions for ideas. Our meads can easily substitute for and surpass your favorite red or white wine and they pair well with fish, meats, vegetarian meals, cheeses, and desserts. 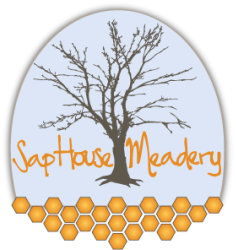 There is a shared excitement among fellow meadmakers (mazers) that makes it a community of its own. Although we all make products which are competing on the market, each new player opens up market space for all and increases demand. After all, to be a connoisseur there must be variety.